I spent much of this afternoon scraping frame members, during which I could not help but notice several loose fasteners running through the keel into the ribs. Backing them out conveyed a stark realization that every one of them was rusted common steel. When I released four that ran through the transom and into the keel’s aft end, and, you guessed it, all of them were badly rusted common steel. Releasing the keel is the only way to address this issue, and release it we did. Ever have one of “those” nagging feelings that something is amiss? We finally had all of the fasteners released. Save for the brass – maybe silicon bronze, but I do not think so – hex bolts passing through the keel and into the ribs, every one we removed was severely rusted common steel. Now I understood that gnawing discomfort. Thank goodness we decided that, with all the common steel fasteners we found and the copious amounts of grease- and oil-soaked wood among the ribs, releasing the keel was just the right thing to do. Just imagine if we pressed ahead with the keel in place and completed our restoration only to have her waggle her fanny across the water each time we accelerated! 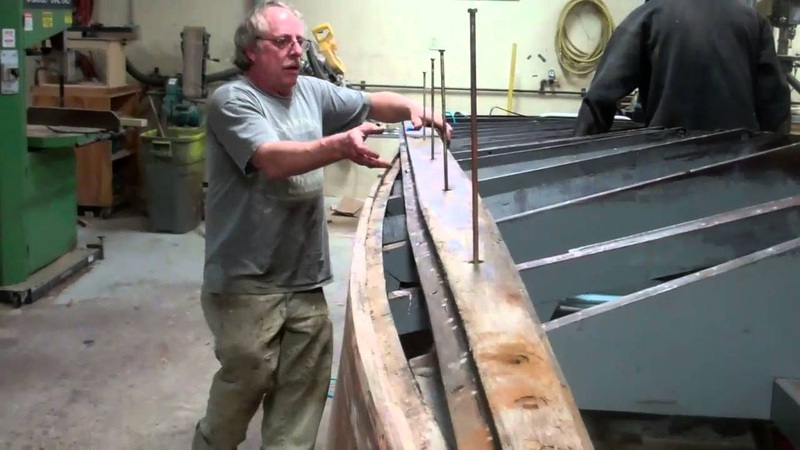 We will scarf a new section of white oak to the aft 20 inches of the keel and all will be fine there. At the same time, we will be releasing a hideously ineffective collection of ¾” plywood gussets, all of which have failed, and likely began failing the day they were installed. Each will be released with a mahogany gusset fabricated to match the original ones which are still to be found on the hull. We will also be fabricating mahogany replacements for every rib member that shows any sign of deterioration. That Hemi power plant can either drive her forward or twist her out of shape. We will render the hull so true and stiff that every ounce of power the Hemi delivers translates into acceleration.